The 2018 Yamaha Drive2 is one of the models being recalled over a brake cable issue. 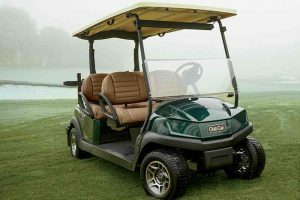 Yamaha Golf Car has issued a recall for over 160,000 golf cars, personal transportation vehicles (PTVs) and utility vehicles due to potential failure of the brake cables and subsequent crash hazard. The recall involves model year 2015 through 2018 gas and electric powered golf cars, PTVs and utility vehicles. 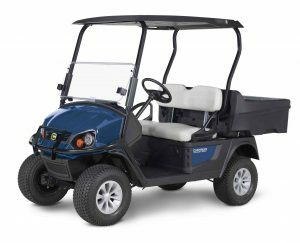 Note that the utility vehicles from Yamaha Golf Car are different than those from the power sports manufacturer Yamaha Motors which makes the YXZ, Wolverine and Viking utility vehicles. This recall involves Yamaha Drive and Drive2 branded vehicles made by Yamaha Golf Car. For a detailed list of the model numbers and serial number ranges included check the CPSC.gov website. 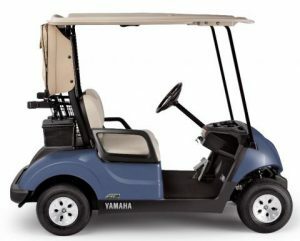 Owners can also contact Yamaha at 800-962-7926 or at www.yamahagolfcar.com. Owners should immediately stop using these recalled Golf Cars and PTVs and contact a local Yamaha Golf Car dealer to schedule a free repair. Yamaha is contacting all registered owners directly. The following recall details are from the Consumer Product Safety Commission. Name of product: Yamaha Golf Cars and Personal Transportation Vehicles (PTVs) Hazard: The brake cables on the golf cars and PTVs can fail, posing a crash hazard. Description: This recall involves the following model year 2015 through 2018 gas and electric-powered golf cars , PTVs and utility vehicles. The vehicles were sold in various colors including blue, green, red, white, tan and silver. The model and serial numbers can be found on a label under the seat on the left or right side. Remedy: Consumers should immediately stop using these recalled Golf Cars and PTVs and contact a local Yamaha Golf Car dealer to schedule a free repair. Yamaha is contacting all registered owners directly. Incidents/Injuries: The firm has received 285 reports of brake cables failing. No injuries have been reported. 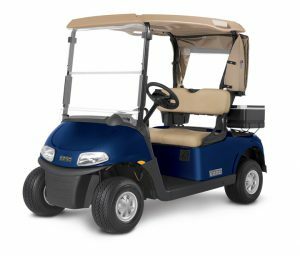 Sold At: Yamaha Golf Car dealers nationwide from November 2014 through December 2017 for between $5,900 and $7,700. Manufacturer(s): Yamaha Motor Manufacturing Corporation of America, of Newnan, Ga. 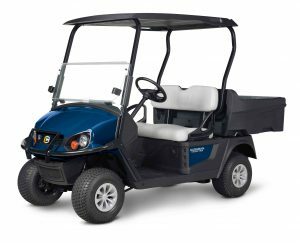 Distributor(s): Yamaha Golf-Car Company, of Kennesaw, Ga.
SVR’s Take: This is a very large recall and on par with the relatively recent large recalls from Polaris. This will likely cost Yamaha millions of dollars to remedy. More importantly, this might put a dent in Yamaha’s progress in gaining market share against Club Car and E-Z-GO. In the last few years, Yamaha has been touting how many thousands of golf courses have switched to their golf cars. The golf car market has always been highly competitive, and even more so in the last several years as golf course growth has declined or remained stagnant. The new Kubota RTV-XG850 Sidekick utility vehicle, gas-powered and with a 40 mph top speed. Over the last few months Kubota has unveiled two significant model additions to their utility vehicle lineup that will be available at dealers in the first part of 2018. The first reveal was the all new RTV-XG850 Sidekick. The Sidekick is a gas powered UTV being marketed as fast, strong and agile with a 48 hp engine, 40 mph top speed, a CVT with centrifugal clutch and speed sensitive electronic power steering. Kubota is clearly trying to expand their more work-oriented customer base with the faster, crossover oriented Sidekick. However, the RTV-XG850 still maintains solid work specs with a 15.2 cu. ft. and 1,000 lb. capacity steel cargo box and a 2,000 lb. towing capacity. The cargo box has an optional electric hydraulic lift. The Sidekick will come in three different variations: General Purpose, Worksite and Special. The Special comes with a front guard, alloy wheels, tilt steering and spray-on bed liner standard. The Worksite comes with the front guard and tilt steering standard. The General Purpose does not come standard with any of these options. The Kubota RTV-XG850 Sidekick will be available at dealers in Spring 2018. A quick internet search shows pricing in the $13,000 to $14,500 range. The other addition to the Kubota UTV lineup is an updated version of the RTV-X1120, a heavy duty work-oriented utility vehicle. The updated model comes with a significantly lower price tag compared to the older version, $13,999 compared to approximately $16,000. The RTV-X1120 is powered by a 24.8 hp diesel engine and has a Variable Hydro Transmission, a top speed of 29 mph and 4WD with limited-slip front differential and foot operated rear differential lock. Kubota aimed to improve ergonomics and styling with new shoulder restraints, ergonomic 60:40 split bucket seats, digital display, easily accessible parking brake and under seat storage compartments. The RTV-X1120 will be available in General Purpose, Worksite and Deluxe configurations with a starting base price of $13,999 The new RTV-X1120 models will be available at Kubota dealerships in February 2018. SVR’s Take: The work and multi-purpose use segment of the UTV market has become more competitive over the last several years as manufacturers have identified the segments as key growth areas. No doubt Kubota has felt the encroachment of this competition on their traditional customer segments of farm, ranch, large area home owners and construction. 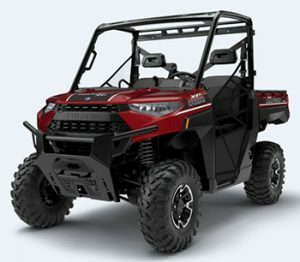 This has come from larger brands such as Can-Am with their new Defender line, Honda with their expanding Pioneer line and market leader Polaris with their dominant Ranger line, as well as from smaller brands like the value oriented and expanding Cub Cadet Challenger line and the likes of Toro and New Holland that have partnered with larger UTV manufacturers to develop vehicles to sell under their own brands. The most recent in the latter category is the construction oriented Caterpillar. 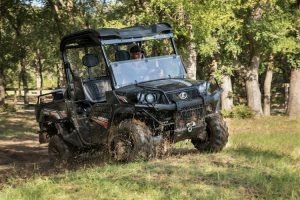 As the pace of new model development in the UTV market has increased in the last five years, one could argue that Kubota has been at the slower end of the scale among the large manufacturers. The Sidekick in particular may be an indication that Kubota will be accelerating their product development moving forward with an eye towards expanding their appeal. A key difficulty for Kubota in growing their customer base will be how to reach new customers with their existing farm and construction oriented dealership network. They may look to add new types of dealers or partner with other companies to reach new distribution channels. The four-person Club Car Tempo 4Fun fills out the new fleet line, which Ingersoll-Rand expects to help maintain momentum in their Small Electric Vehicle business. Ingersoll-Rand, which makes a range of commercial and industrial products including Club Car golf cars and utility vehicles, recently reported Q4 2017 financial results. For the quarter net revenues increased 8% to $3.6 billion from $3.4 billion and for the year they increased 5% to $14.2 billion from $13.5 billion. Club Car revenues account for only a small portion of the overall revenues. The Industrial segment, which includes Club Car, reported Q4 net revenues of $858 million, a 7% increase from $800 million in Q4 of the previous year. The following are some of the highlights from the earnings call related to small, task-oriented vehicles. The Club Car Tempo Connect golf car was just launched at the recent PGA Show. Golf utility vehicles and consumer vehicles combined are generally expected to be flat to slightly up across the globe. Consumer vehicle continues to grow at a nice clip. Utility vehicles are also expected to have good growth in 2018. The lithium powered Freedom RXV ELiTE helped drive E-Z-GO sales at Textron. Textron, manufacturer of Arctic Cat and Textron Off Road utility vehicles, E-Z-GO golf cars and other small, task-oriented vehicles recently reported Q4 2017 financial results. Revenues in the quarter were $4.0 billion, up 5% from the fourth quarter of 2016. Textron segment profit in the quarter was $360 million, down $31 million from the fourth quarter of 2016. For the year revenue increased to $14.2 billion up from $13.8 billion. Textron also produces Bell helicopters, Citation jets and various military systems and products. Textron is forecasting 2018 revenues of approximately $14.6 billion, up 3% percent from the prior year. The following are some of the highlights of the earnings call and presentation related to small, task-oriented vehicles. Industrial revenues, which includes Arctic Cat, E-Z-GO and other Specialized Vehicles, were $1.1 billion for the quarter, up 20% largely related to the recent Arctic Cat acquisition. Industrial segment profit was up $10 million from the fourth quarter of 2016 due to favorable performance. At industrial, we’re expecting growth in each of our businesses resulting in projected segment revenue of about $4.7 billion and a margin of about 8%.